How does Ken Loach manage to make great films, film after film? His new film, I, Daniel Blake, tells the story of Daniel Blake, wonderfully interpreted by Dave Johns, who just had a cardiac accident. Even though he is OK, his doctor forbids him to go back to work. So he has two solutions to get some money to live, either get an allocation if he can convince the institution that he can’t go back to work, or get unemployment money. The film shows his struggle with the British administration. As he goes through all this trouble, he gets acquainted with Katie (Hayley Squires) and her two children, and decides to help them as they are also struggling financially. The film shows how the relationship between Daniel and Katie grows while they both struggle to survive. The two main actors are amazing, full of humanity. Ken Loach directs this film masterfully, in a very sober and precise way. And the way the film is photographed reinforces the absurdity of the system that both characters are fighting against. 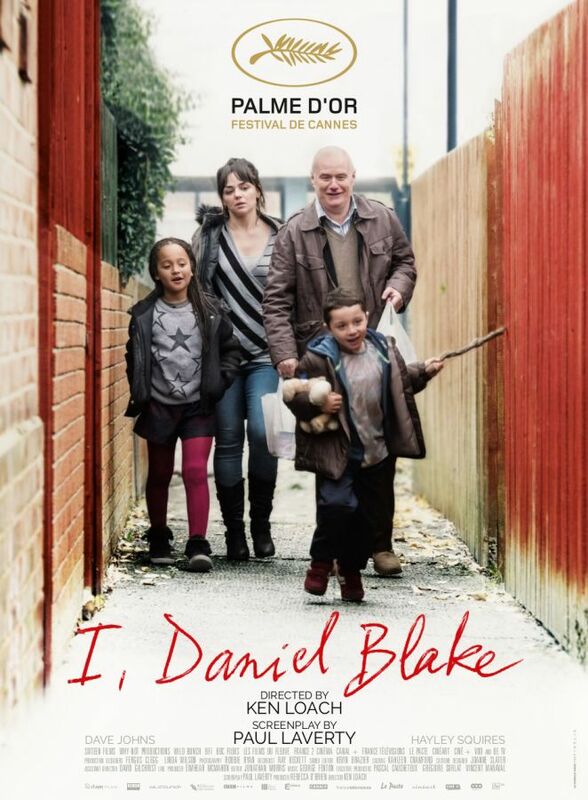 One of the great scenes of the film is a scene at the unemployment administration where Daniel Blake takes the defense of Katie and her children, and is met with cops escorting him outside. This scene is infuriating and Ken Loach manages brilliantly in making us feel that anger inside of us. Ken Loach signs a film that is very moving and at the same time highly politically engaged. Masterful!